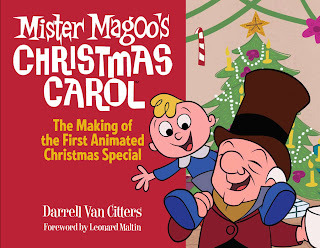 I'm sorry to say that posting will once again be light simply because people forget about Mr. Magoo's Christmas Carol for about 11 months of the year. However, 2012 will mark the 50th anniversary of the special and although it's too soon to tell what will happen to mark the occasion, I will periodically update this blog when there's something to report. 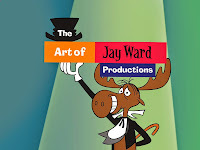 It also promises to be a banner year for both Mr. Magoo and UPA with the upcoming publication of the definitive book on UPA, When Magoo Flew, as well as the DVD release of the UPA theatrical shorts (both in March) and all of Magoo's theatrical cartoons including the feature 1001 Arabian Nights (June). To stay tuned to any and all developments, either become a follower of this blog by clicking on Join This Site at the right or like the book's page on Facebook. And if you have any information, photos or art from either the Mr. Magoo's Christmas Carol or UPA's television era that you think might be worthy of inclusion in a 50th anniversary edition of the book, please contact me as soon as possible via info@mrmagooschristmascarol.com.